In order to thrive in today’s philanthropic climate, organizations must invest in their advancement professionals, from fundraising essentials to executive coaching and everything between. KDD Philanthropy offers services to support advancement teams of all sizes as they succeed in inspiring and securing generosity. Our firm’s distinctive approach of empowering people and teams, while building clear and actionable plans, draws on its founder’s years of in-house leadership at some of the largest organizations in San Diego. During this time, Kathy Drucquer Duff developed deep expertise across the advancement spectrum, from alumni engagement and frontline fundraising to campaign management and executive leadership. 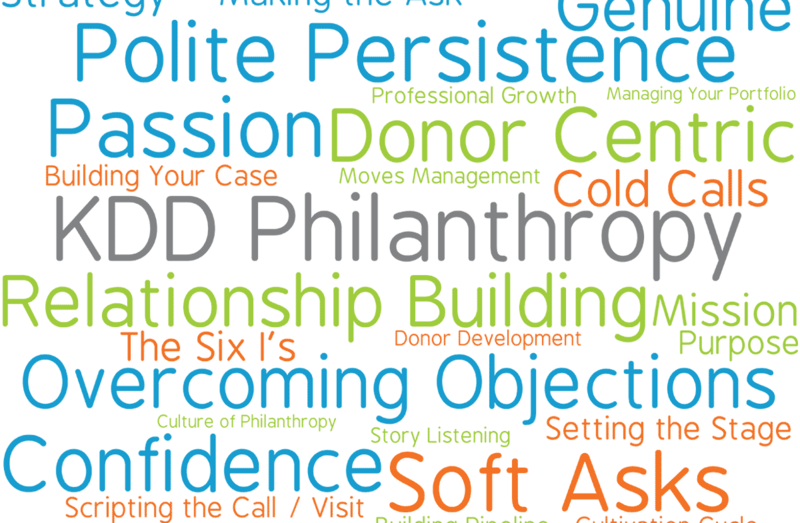 Clients of KDD Philanthropy consistently cite the firm’s ability to quickly assess their landscape, identify needs, engage with staff at a variety of levels and functions, and provide tools to build the individual and the culture, as keys to their success. Learn how we can help you succeed today. After about six months in my new position at NPR, I can honestly say the time I spent with you in our coaching sessions has proven invaluable. Thank you, Kathy, for always taking the time to work through things I brought to the table. My experience with you and all of the guidance you gave me during our meetings has not only made me a better person, but a better employee and manager at NPR. Taking the time to listen, really listen, not being afraid to strategically push back, to be honest and transparent with those who report to me, are just some of the valuable tools you taught me that I use on a weekly (if not daily) basis. We hired Kathy as a consultant for several months during the time we were conducting a search for a new Associate Vice Chancellor. Kathy stepped in seamlessly to support our fundraising team and reinforce messaging from Advancement leadership. We found Kathy to be a tremendous resource. She has a rare combination of skills and experience that allow her to see things from a broad scope, while also providing specific strategic and tactical tools and guidance. Whether discussing common issues in a large group format or meeting one-on-one to discuss individual donor strategies, Kathy's advice and guidance was enormously valuable. She is an inspiring speaker, a motivating and encouraging coach, and an active, focused listener with an insightful feedback loop. In addition, she has the ability to work well with a variety of people. It was extremely helpful – and fun – to work with Kathy! We partnered with Kathy to launch a coaching pilot at Colorado State University, and the results were incredibly positive. Kathy coached a number of our senior leaders to help them identify and achieve their developmental goals. In addition, she communicated with their supervisors, co-designed joint outcomes/goals that served the division, and kept everyone updated about their progress. We were so pleased with the results that we plan to continue working with Kathy and formalize our coaching program. 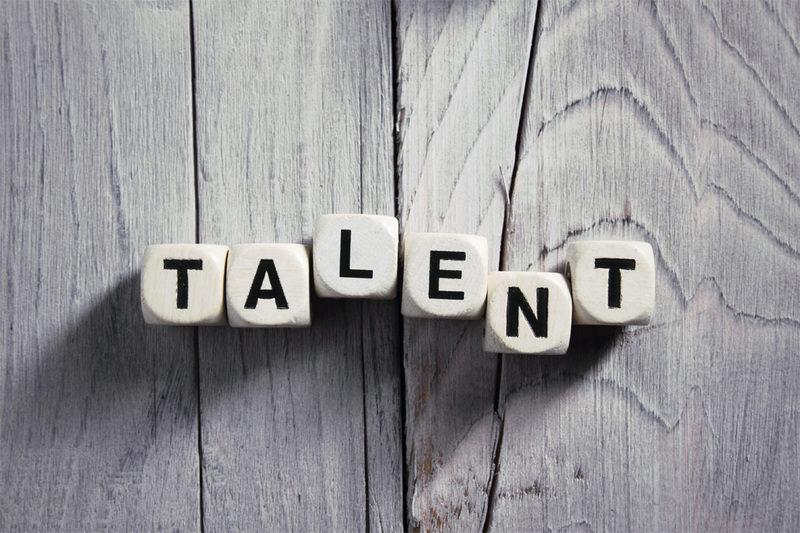 As the lead for our talent management initiatives, I have struggled to find developmental opportunities for our high-achieving staff, especially those who are near the top of the organizational chart. Kathy’s expertise and breadth of experience in Advancement make her a perfect fit. She’s also very adept at working with supervisors with differing styles. For example, one of our supervisors was more hands off, while the other wanted more involvement. Kathy was able to adjust as needed to meet everyone’s expectations. The feedback from staff who were coached by Kathy was 100% positive. They felt challenged and supported, appreciated her advice, and found her to be relatable. She helped them take a global view on their challenges, and she provided a confidential and safe sounding board. Coaching is the new frontier in talent management, especially in higher education, and I cannot think of another person better suited to lead the way than Kathy Drucquer Duff. "We have been talking about developing an event strategy for years - yet never knew exactly where to start. [Kathy's Academic Impressions webinar] not only provided us with great information but also with resources to help us get started." Kathy Drucquer Duff has been an exceptional colleague, has extensive experience and skill in fundraising strategy and donor solicitation, and is very adept as a search consultant, identifying talent and mentoring staff. She works with a high level of confidentiality and is very analytical and discrete in her approach. Her administration of a search at the vice presidential level yielded top notch candidates, all highly experienced. This was the most professionally administered search I have experienced in my several decades as a senior administrator in higher ed. It has been a pleasure working with her and I offer her the highest recommendation. I had the pleasure of working with Kathy when she served as a consultant to the Office of Institutional Advancement at Mills College. Kathy was a powerhouse member of our team who used her in-depth knowledge and expertise to serve as a leader, coach, and mentor who inspired us in so many ways. She quickly was able to identify individual talent and understood how to empower the team, motivating us with supportive enthusiasm. She demonstrated the unique skill of balancing competing priorities and managing expectations. Kathy definitely made a positive impact on our team. Colleagues described her as strong, determined, having boundless energy, thoughtful, kindhearted, hardworking, nurturing, tenacious, protective, compassionate, genuine, optimistic, amazing, dedicated, and supportive. Full of energy, she always did what she said she would do regardless of the time of day or night. With her can do attitude, professional fundraising experience, leadership skills, and strategic approach to challenging circumstances, Kathy Drucquer Duff would be a true asset to any organization. As the new Chief Philanthropy Officer for City of Hope, I needed to bring in a professional who I had complete confidence in and someone I knew could hit the ground running while being sensitive to both my newness to the organization and an unfamiliarity to the culture. Kathy offers any organization, especially to the senior management executives, the ultimate package in terms of professionalism, enthusiasm, current knowledge of the industry, and commitment to one’s program. She is a seasoned leader who knows when to push people out of their comfort zone and when to allow assimilation. 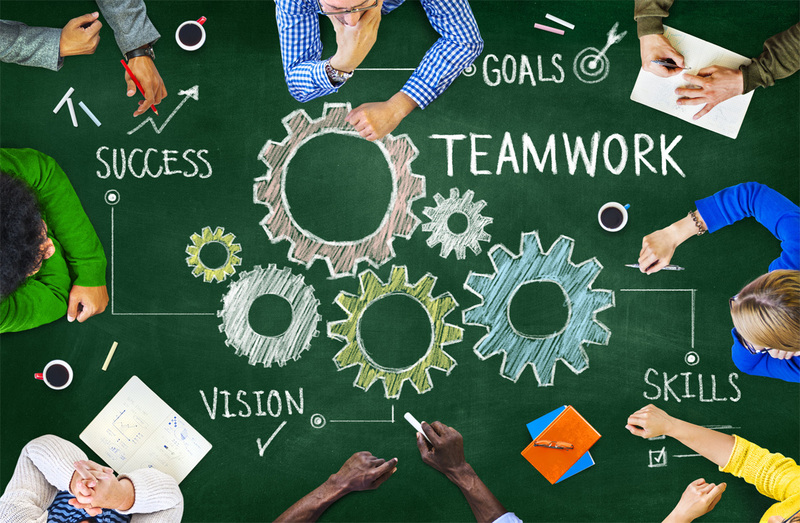 In the end, she is a genuine partner to your program whose hard work results in raising the level of individual and team performance and productivity. She has my highest level of appreciation and endorsement. In my 20+ years of experience as a fundraising professional, Kathy stands alone in her ability to maximize the effectiveness of her team and to unite others around a common objective. I have worked for and with Kathy for more than a decade. In that time, I have directly witnessed her skill as a manager, mentor, strategist, coach and leader. She is a master communicator who can distill complex concepts into easily understood objectives. Whether in an individual meeting or presenting to large groups, Kathy has a unique ability to connect with her audience, identify their needs, and provide valuable insights on how to improve their individual and team performance. Kathy has taught me the importance of establishing a culture that embraces accountability, creativity and a shared vision. Her credibility in crafting this culture is born from her tireless work ethic, passion for fundraising and commitment to help every employee/client achieve their goals. Whether it is help with developing a fundraising strategy, charting a course for a comprehensive campaign or coaching individuals to be their best, Kathy has a rich history of success that few can equal. I continue to hire Kathy to teach webinars and conferences on strategic fundraising talent management and fundraising skills because of the experience and credibility she brings to the conversation. She has extensive experience across the higher education and healthcare sectors that inform her thinking, and she relays that experience into digestible information she shares with our audience. She is intentional about putting time and effort into growing her own team, and breaks advancement management down in a way that doesn’t seem intimidating to other managers. She helps our audience understand that intentionally managing your team is equally important to the fundraising component of their job. Kathy is also one of our highest rated speakers; conference attendees rave about her. I hired Kathy to present seminars and webcasts when I was with Academic Impressions. She was internally driven to develop consistently strong products that provided information and knowledge not available to the existing fundraising marketplace. Kathy made it a point to give her best and, more importantly, truly valued feedback from her colleagues/participants to improve her future work; I can say with confidence she always seeks to improve her results. That said, what really shines through is the breadth of Kathy’s experience – it’s rare to find someone as adept across both channels (annual giving to major giving to executive management) and market segments (education to health care) – and it’s that breadth that allows her to advise so well.